It is easy to think that shingles make up the entire roof of a house. However, there are several components involved that make a complete roof system. Hiring an experienced a roofing contractor is an essential factor, as they have comprehensive knowledge about the parts that complete the roof. Additionally, the roof has a significant role to play in the protection of the structure with the use of the components that complement the construction. They protect the house from rain, snow, and wind. Possessing a better knowledge about the elements involved in the construction of the roof is helpful, as you do not acknowledge the importance of an emergency or the need. Learning the terminology helps you to converse with a professional during a crisis or when required. It is the base of the foundation upon which the roofing contract begins to build the roof of the structure. It is possible to choose the decking material from a wide variety. However, oriented strand board or plywood is the typical material used by contractors. It is also possible for a few to opt for concrete, polystyrene, and metal decking. The roofing contractor installs the underlayment upon the decking before laying the asphalt shingles. The common or the standard type used today is a durable paper known as felt. It acts as a temporary barrier against wind and rain before the service provider installs the shingles as an additional layer of protection. Installation begins from the top edge of the roof, and the subsequent rollout has significant overlap. It thus helps in shedding water without seeping inside. The drip edge is made up of aluminum and nailed to the sides of the roof underlayment and under the eaves. Placing the drip edge is helpful, as it prevents the buildup of water and paves the path for the water to flow into the gutter. Shingles can be metal, asphalt, or clay, and make up the outer shell of the roofing system. When installed correctly, it provides complete protection to the house and is capable of withstanding the changing weather conditions. The critical functionality of roof flashing is that it prevents leakage of water into the roofing structure and prolongs the life of the roof. The word may sound high-tech, but the procedure is simple. 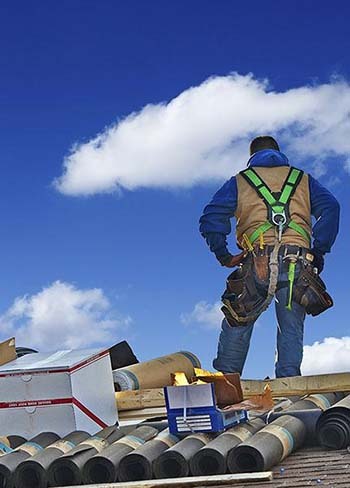 The roofing contractor installs the same by using galvanized steel or aluminum sheet and places them strategically across the roofing structure and at joints to ensure that there is no seepage of water. It is a simple technique and relies on the force of gravity. When installed accurately, the flash roofing redirects the water from the roof onto the ground. It is common to find roof flashing across plumbing vent stack, fan vents, and chimneys. If there are any further protrusions from the roofing structure, it is preferable to go ahead with the roof flashing for all the same. Installation of roof shingles follows the local building code. An experienced local roofing contractor possesses complete knowledge about the building code and ensures to meet the standards with ease. 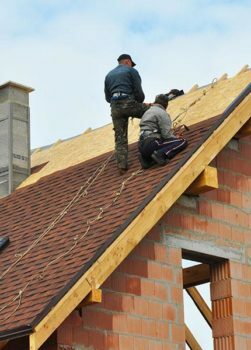 Apart from the building code, local weather conditions and availability of shingle type also play a crucial role in the installation procedure. Due to this, manufacturers offer asphalt shingles in a variety of measurements. The experienced contractor uses experience in purchasing the needed material and then begins to cut the sheet according to the structure. It starts with the starter course where the professional and trained craftsmen begin to secure the roofing structure using nails. After completion of this phase, they begin to continue the coverage of the rest of the roofing structure in an offset pattern at a consistent measurement. Such an approach delivers a finished roof that protects the house and gives an attractive visual pattern. A soffit is a board that helps in bridging the gap between the roof line of the structure and the home’s siding. The location of the soffit is under the fascia board that holds the gutter pipe. Installation of Soffit is essential, as it improves ventilation in the attic space. The presence of both the boards prevents damage to the interior of the house. Apart from this, they also assist in improving the visual appearance of the structure. As you understand the different elements that make up the roofing structure of your home, you are now in a position to explain a problem or contact an experienced a roofing contractor. You can also understand the terminology used by the professional during a discussion. All of these will help you to find a qualified and established entity that focuses on delivering quality services at an affordable price. If you notice a leakage in the roofing structure or require maintenance that helps in the extension of the life of the existing structure, it is time for you to hunt for the best in your neighborhood. Given the advantage of the Internet, you can quickly find details or information related to roofing contractors in your area. Apart from this, speak with neighbors who recently repaired their roofing structure or consult others in the community who can guide you or point you to a noted or established provider that renders professional service and hands over the right quotation for the required solution. If you like to receive repair assistance or replace the roofing structure, start comparing using the Internet and apply filters to narrow the search for the best. 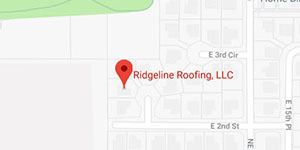 After learning about the several components involved in the roofing structure, the importance of experience, and possessing the knowledge of the local building code, Ridgeline Roofing located in Vancouver topped the table for attending to every need of the customer and delivering high customer satisfaction results. Visit the website today or contact to check whether the roofing contractor is offering services in your area.